To celebrate the opening of Metro Detroit's newest 2ND & CHARLES location which is located along Macomb County's M-59 shopping corridor in Utica, Michigan the retailer is hosting a party. On Saturday, August 6, 2016 the eclectic retailer, which specializes in the trading of books, video games, vinyl records, and collectibles, will officially debut its new location with a grand opening party. There will be fun photo ops, giveaways, and contests throughout the day. Festivities commence at 10 am and run through 6 pm. Activities include meeting costumed characters, family-friendly activities, and a Nintendo video game tournament. Attendees will also be able to enjoy delicious fare at the retailer's debut of the ChuckStop, 2nd & Charles first on-site coffee bar. The retailer's ChuckStop will offer a selection of hot and cold beverages, whole-bean coffee, full-leaf teas, pastries, snacks and more for shoppers who visit the store. 10 am - Noon: Meet and Greet character appearances with photo opportunities; free face painting and balloon art for children. 10 am - 4 pm: Register for prizes and giveaways throughout the day including several $100 gift cards and a $500 one. 11 am - Kids story time and activities. 2nd & Charles buys and sells new and used books, CDs, DVDs and Blu-ray, video games, game systems, vinyl records, comic books, electronics, toys, collectibles and more. Customers wishing to sell their own used items can check them upon arrival and redeem for cash or store credit. 2nd & Charles is know for drawing a diverse audience of gamer fantatics, pop culture junkies, movie buffs, and bookworms to peruse the 300,000+ items available at each store stocked on more than three miles worth of shelf space. 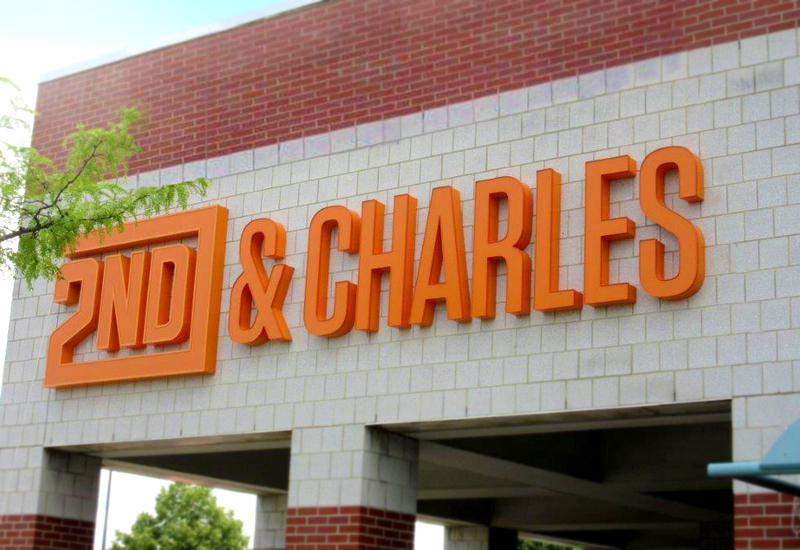 "2nd and Charles is far from any typical book store," Scott Kappler, vice president of marketing told A Geek Daddy. "We are all about one-of-a-kind discoveries in almost every category: pop culture, comic books, vinyl records, collectibles -- you name it! Each store is truly a treasure trove of books, accessories and games galore. You could easily spend hours browsing the aisles and you really never know what you'll find!" The new store located at 45290 Utica Park Blvd is east of the Hall Road (M-59) / Van Dyke Freeway (M-53) intersection near the Dave & Busters arcade. It joins an Auburn Hills location adjacent to Great Lakes Crossing Outlet mall. For more information about the 2nd and Charles in Utica, visit 2ndandcharles.com/locations/utica-mi Regular hours for the 2nd & Charles Utica store will be Monday through Thursday from 10 am - 9 pm, Friday 10 am - 10 pm, Saturday 9 am - 10 pm and Sunday 10 am - 8 pm.